MB Outdoors is committed to honoring the sacrifices given by the Men & Women of the armed forces past and present. MB Outdoors vows to donate back to the organization that helps military members and their families at Camp Patriot. 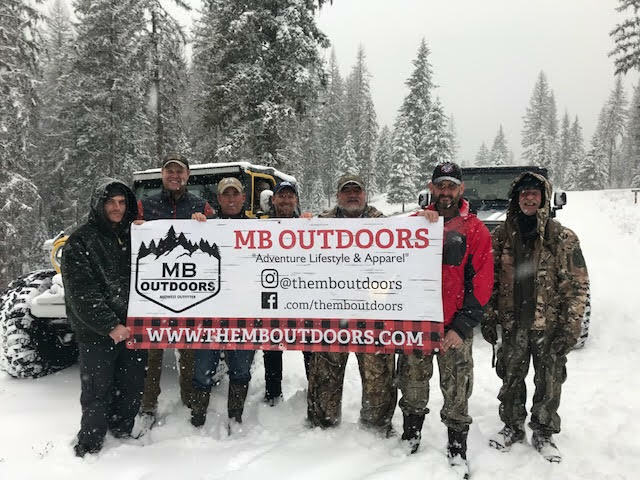 A percentage of every product order is donated to our Charitable Partners, a donation chosen by you that directly helps the organization's mission in empowering veterans by taking combat wounded and disabled veterans on outdoor adventures and providing outdoor recreational therapy in Libby Montana. In October of 2014, the Camp Patriot Veteran Retreat Ranch was established. Located in Northwest Montana this first-a-kind 90+ acre facility is a "living monument" to wounded and disabled veterans of all generations. The ranch allows us to offer a host of truly unique outdoor recreational therapy programs. Camp Patriot will offer a number of different programs specially designed to challenge our veteran guest to focus on their unique abilities. Our guests are offered professional instruction and support so that they may quickly adapt and overcome every challenge. For more information on the amazing programs offered at Camp Patriot, visit their website HERE to learn more.